Countless teens today feel depressed or discouraged because they don't have a boyfriend or girlfriend. Many single Christians feel frustrated with our culture's expectations and patterns of dating. Youth pastors and parents find themselves dealing with young adults who fall into sexual temptation or spend more energy on dating than on following God. 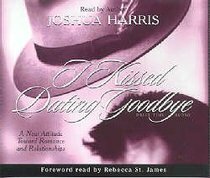 The I Kissed Dating Goodbye Drive Time CD(R), based on the bestselling book, offers an all-new approach to dating relationships. It calls young adults away from playing the dating game and reveals how they can live a lifestyle of sincere love, true purity, and purposeful singleness. Honest and practical, this powerful message will inspire teens and young adults to remap their romantic lives in the light of God's Word. Not just a book of theory, the I Kissed Dating Goodbye Drive Time CD(R) includes healthy challenges to today's cultural assumptions about relationships and provides solid, biblical alternatives to society's norm. - Publisher Kiss dating goodbye and walk a new road to romance.^^Not everyone expected a book written by a 21-year-old to be a chart-buster - especially one with the radical idea of putting an end to dating! But now those skeptics are applauding. Joshua Harris's tell-all book, I Kissed Dating Goodbye, has sold more than a quarter of a million copies and topped bestseller lists for half a year-and counting. About "I Kissed Dating Goodbye"
Kiss dating goodbye and walk a new road to romance.^^Not everyone expected a book written by a 21-year-old to be a chart-buster - especially one with the radical idea of putting an end to dating! But now those skeptics are applauding. Joshua Harris's tell-all book, I Kissed Dating Goodbye, has sold more than a quarter of a million copies and topped bestseller lists for half a year-and counting.